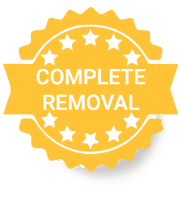 Get rid of harmful asbestos…fast! Even though it was banned in the late 1970s, asbestos can still be found in many houses and industrial properties today! – This poses a serious health hazard to anyone who comes into contact with the known carcinogenic substance. Therefore there is an obvious need for companies such as Wing Three to provide asbestos inspection, asbestos testing, asbestos removal and asbestos abatement services. If you’re concerned about the presence of asbestos in your home or commercial building, contact the professionals at Wing Three for fast and safe asbestos abatement. We offer free estimates and proven methods of testing before and after the asbestos removal process. Our asbestos abatement solutions are thorough, safe and comprehensive. Asbestos is responsible for the lung disease mesothelioma along with a host of other significant health issues. It can be found in insulation, floor tiles, flooring adhesive, roofing materials and many other building materials. Asbestos can release tiny fibers into the air when disturbed, making it a hazard for everyone in the immediate area. 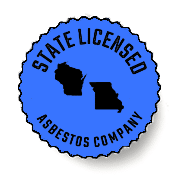 The Wing Three asbestos abatement team is state-licensed and ready to take care of your asbestos problem. Schedule your free asbestos removal estimate today! Need a quote for a residential, commercial or industrial asbestos removal project? Wing Three will provide a free visual inspection and follow-up with a no-obligation asbestos abatement estimate. If you’re renovating or remodeling a property, take care of harmful asbestos now before it has the potential to cause health and safety issues. Wing Three’s comprehensive testing service can ensure an asbestos-free living or working environment. Litigation is becoming more common as employees who were previously exposed to asbestos develop life-threatening conditions such as cancer and respiratory illness. Stay safe with our comprehensive asbestos examination and report. Wing Three’s asbestos professionals will ensure that your asbestos abatement job is done right. We’ll remove every trace of asbestos and leave a safer, healthier environment for you, your family or your employees. We handle residential, commercial and industrial asbestos abatement projects jobs of any size. Large or small – we do it all! Wing Three has over 20 years of experience in asbestos abatement. Wing Three employs State licensed asbestos inspectors, supervisors and workers. 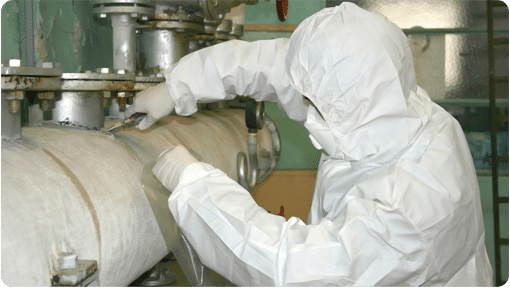 Our asbestos services include asbestos abatement, asbestos inspections and asbestos testing for residential, commercial and even industrial sized projects. We do the job right first time!